At the beginning of January I started a four week online course with My Garden School (see my previous post My Garden School). 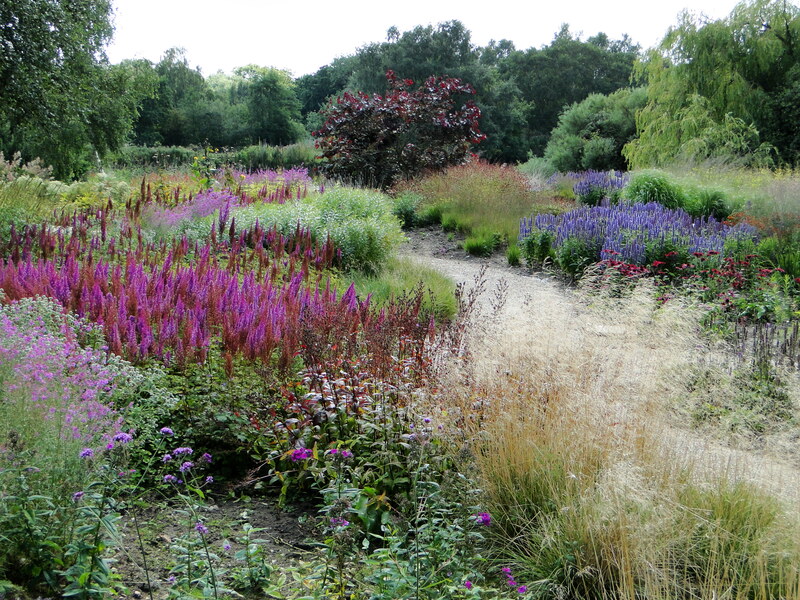 I chose to do Planting Design Part One with Hilary Thomas, a former head of garden design at Capel Manor. Well I’ve just finished my last assignment so I thought I’d let you know how I got on. Each Saturday a video and course notes, along with details of that week’s assignment were available to view on the website in a section called My Classroom which you get access to once you have signed up to a course. You could log on any time during that week to view the video and read the notes and go back to them as many times as you wanted, even during the following weeks. The videos lasted about half an hour and consisted of a series of photos illustrating the themes whilst Hilary talked you through the subject. Each week there was an assignment related to the themes of that week. For example, I had to create a planting plan inspired by Piet Oudolf and create a collage of purely evergreen plants and select a group of plants based on their special characteristics such as beautiful bark. Assignments were uploaded in the My Classroom section and then I would receive comments from Hilary on how I had done. It was also possible to chat and leave messages for fellow students. So what was my verdict. Well I found the course interesting and informative. The course is really aimed at someone who hasn’t really had an previous experience so I did find the course easy but there are courses available for those with more knowledge and experience. A plus is that it did highlight the mistakes I have made in my own garden. The negative is that because we don’t think we will stay in this house too much longer I probably won’t implement the necessary changes, so now I will have to look at my mistakes knowing where I’ve gone wrong. I’m not sure whether I preferred blissful ignorance! Anyway, I do feel I have a much better understanding of why structural planting is so important in a garden and I will definitely refer back to Hilary’s notes with any future garden projects. I thought the tutor support and comments were prompt, friendly and constructive. My previous experience of an online course with another horticulture college was completely let down by the lack of tutor involvement. So it was good to see one of the more important elements of a distance learning course working well here. I know the word ‘assignment’ can sound quite scary but they weren’t complicated or onerous and really just required sitting down with some good gardening books and/or the internet and selecting plants that fitted the requested criteria. Possibly the most time consuming aspect was finding suitable photographs to create the collages. I found you do need a certain degree of computer literacy, being able to create a digital collage. I just used the photo package on my computer and once Wellyman had shown me what to do I was fine. You do also need access to a scanner for elements of this particular course. Fortunately, Wellyman could use a scanner at work. Now the crunch question – did I think the course was value for money? The courses cost £120 for the 4 weeks. I personally would have liked another week or two for that price but if you have nowhere locally that offers gardening courses or you have limited time available then they may well be what you’re looking for. If you do have access to a local college or you want something more in depth or with some practical experience then it probably isn’t the best value. For instance, my local college is offering a 15 week garden design course for £67. Although this course is for 2 hours every week during the day so might not be convenient for a lot of people. There is also the added value of the calibre of tutors the college offers, such as Hilary Thomas and John Brookes. Ultimately My Garden School is offering a level of convenience that most colleges can’t offer, as well as tutors that are respected in their field, that most of us wouldn’t ordinarily be able to get access to. I would just like to thank Hilary and Elspeth for their time. A Gardener’s Life For Me? 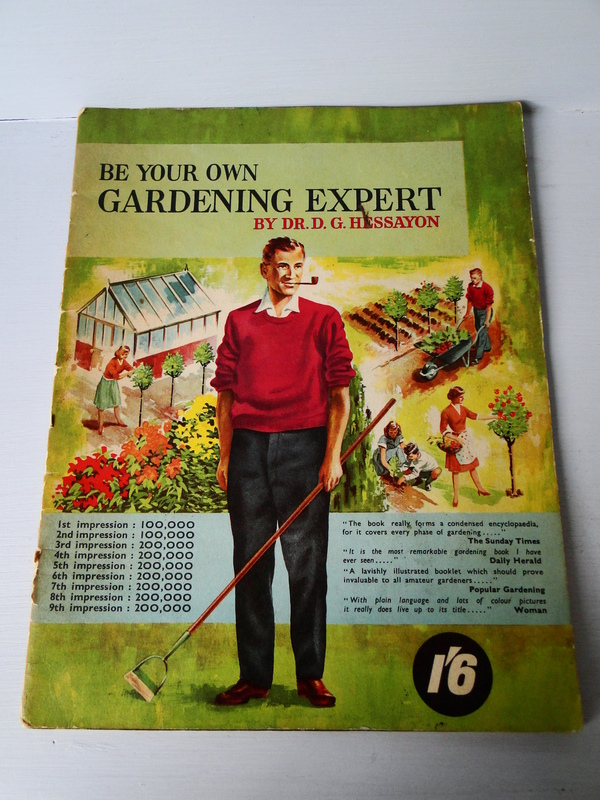 How to become a gardener for a living - pipe optional. I was listening to a radio programme a while ago that was discussing careers with people looking to retrain and in their research it seemed most people’s dream job would involve working outside, with gardening being at the top of the list. Oddly though, horticulture doesn’t seem to appeal as a career to school leavers whether it is the practical route or studying it academically. Did you know that there are now no British universities offering botany as a degree course? Maybe it is because the industry is known for not being well-paid. Maybe it is the working outdoors in all weathers. One of the most common routes into horticulture used to be through the parks’ departments of the local councils but a lot of what my local council does that classes as horticulture involves butchering trees and shrubs. Why spend time pruning a plant properly when a piece of machinery can reduce it’s size in seconds? I did know someone who worked for a council in the parks department and he said very few of those he worked with had a love of plants. It was just another job and purely about keeping things tidy. However, in the last 10 – 15 years 30, 40 and 50 somethings have been leaving their jobs for a life in horticulture. Fed up of commuting and being stuck in an office staring at a computer screen many have turned to gardening for a new, more fulfilling career. It’s not so easy moving from one career to another though, later in life when you are more likely to have commitments such as a family and mortgage but there are organisations out there that can help if you are thinking that a gardener’s life might be for you. The Historic and Botanic Garden Bursary Scheme otherwise known as the Hee bee gee bees offers placements at a range of historic and botanic gardens, giving people the opportunity to gain practical skills, as well as theoretical knowledge. The placement lasts a year and during this time participants are expected to keep a diary recording the tasks they carry out, taking photos and making drawings so that you can use it for reference in the future. There are plant identification tests over the course of the placement, along with 4 projects relating to the particular garden you are working in. The placement is paid but this and other terms and conditions are specific to the individual host gardens. There are 19 participating gardens for the current year 2011-2012 which include Tresco Abbey Gardens, Chatsworth House, Crathes Castle and the National Botanic Gardens of Wales. It is possible to read case studies on the HBGBS website of current and past students. There is also the Women’s Farm and Garden Association which offers a Women Returners to Amenity Gardening scheme (WRAGS). Aimed at women seeking a career in horticulture it was established in 1990 by the association to bridge the gap between the high numbers taking theoretical horticultural courses and the small number able to access practical training. The scheme offers 15 hours a week in a selected garden supervised by the owner or head gardener. An allowance is paid to the trainee but transport costs, tax and NI contributions must be met by the trainee. The HBGBS will shortly be announcing the host gardens for the next round of placements starting later this year, so for more information go to HBGBS. More info on WRAGS can be found at WFGA. One of the things I love about gardening is that there is so much to learn and discover. One of the things I least like is that I am never completely happy with my planting combinations or my design skills. So when My Garden School asked whether I would be interested in trying one of their courses I thought what better way to start the New Year and learn how to improve my design skills. My Garden School was established to bring horticulture courses from experts in their fields to people in their own homes, anywhere in the world. MGS currently offers 24 courses ranging from beekeeping and plant photography to edible gardening and planting design. Course tutors include the world renowned garden designer John Brookes and Alex Mitchell, author of The Edible Balcony and A Girl’s Guide to Growing Your Own. I’ve done a variety of horticulture courses over the last 5 years. There was a garden design course run by my local Adult Education college, the RHS levels 2 and 3 at my local horticulture college and an advanced RHS course that was online. The courses with MGS appealed to me because they are short, lasting 4 weeks. Most people, especially once the growing season gets under way struggle to fit in courses that might last a term or even longer. My garden was pretty neglected whilst I was doing my RHS courses and I would never have managed an allotment as well. I also like the fact that I could do the MGS course from home, fitting it in when it suits me. 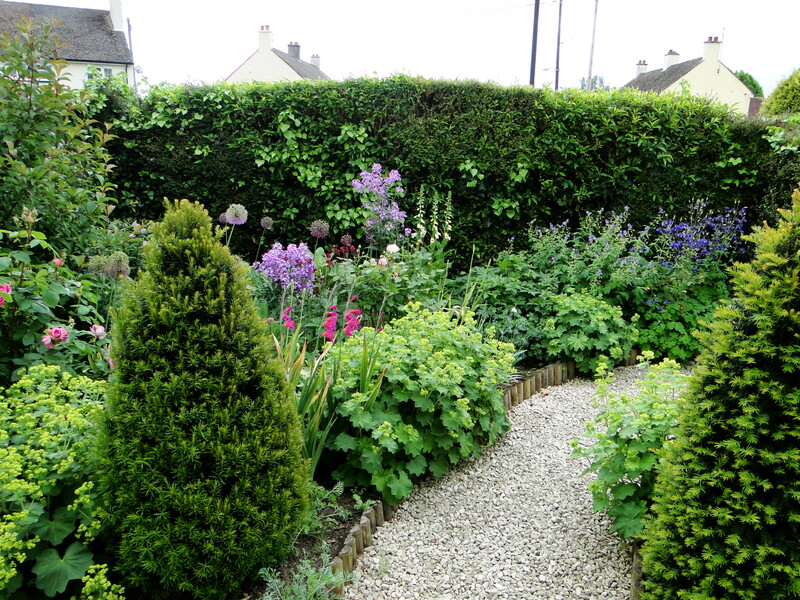 The course I chose was part 1 of Planting Design with Hilary Thomas. Hilary was head of Garden Design at Capel Manor Horticulture College in London. Every Saturday for 4 weeks there will be a prerecorded video that I can view whenever I want, even after the course has finished. Apparently there will also be some notes to download and tutor marked assignments which could range from a planting design, taking a photograph of a flower or writing a short essay, depending on the course. One of the most appealing aspects is that it is possible to ask direct questions of the tutors and get answers. Who hasn’t thought whilst staring at that difficult spot in the garden ‘If only I could ask an expert what they would do?’. I have a couple of those problem areas in my garden so I’m hoping I can learn what solutions there might be. The first courses of the new year start on 7th January, so I’ll keep you updated on how I get on. For more information on My Garden School and to see if there is a course that might appeal to you go to http://www.my-garden-school.com/. Thanks to Elspeth at My Garden School.